"I couldn't leave him. I knew I had to do whatever I could to get him out and back on his feet." 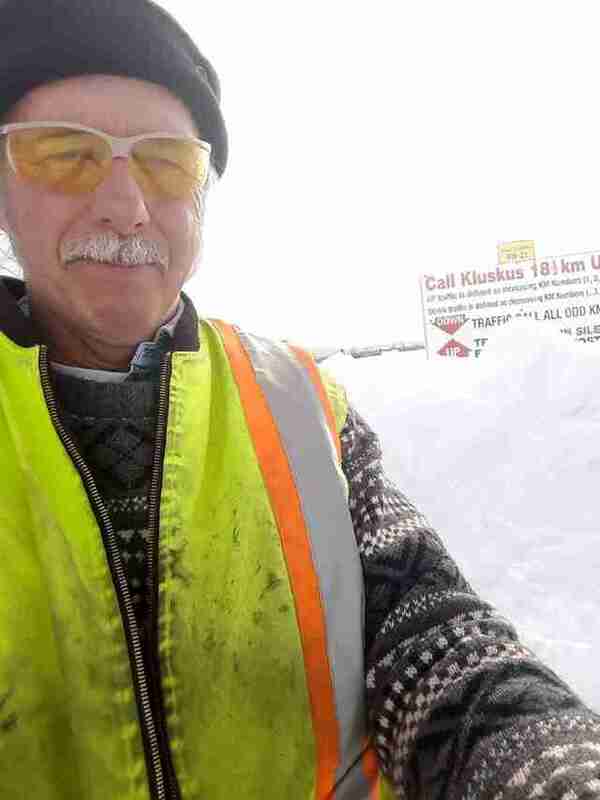 This is Wayne Rowley — a truck driver for a timber company in British Columbia, Canada. Last week, he saved a life. 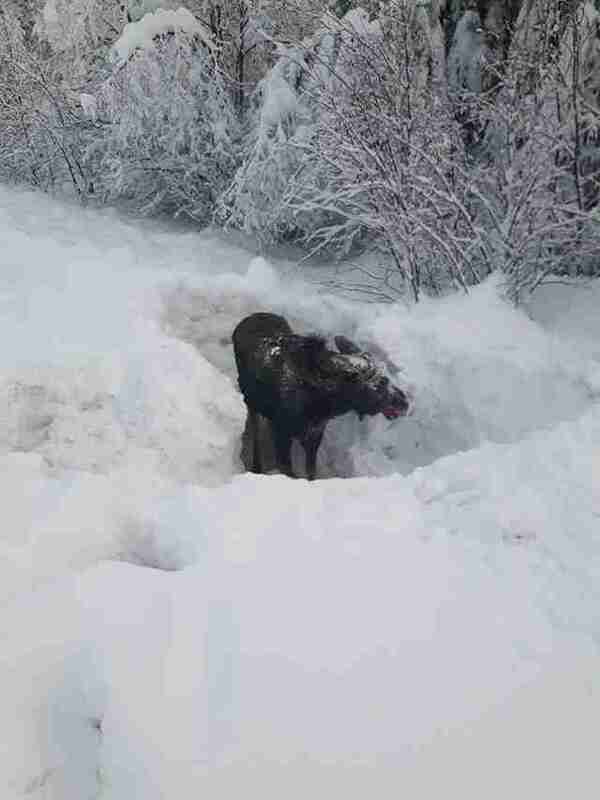 On Thursday morning, while heading on a run in his truck, Rowley spotted something strange sticking out of a deep snowbank along the roadside. He passed by so quickly, Rowley hardly had time to process what he'd seen — so, he decided to stop. "I wasn’t quite sure what it was," Rowley told The Dodo. "I thought, ‘I’d better back up and check what that was.’"
And it's a good thing that he did. 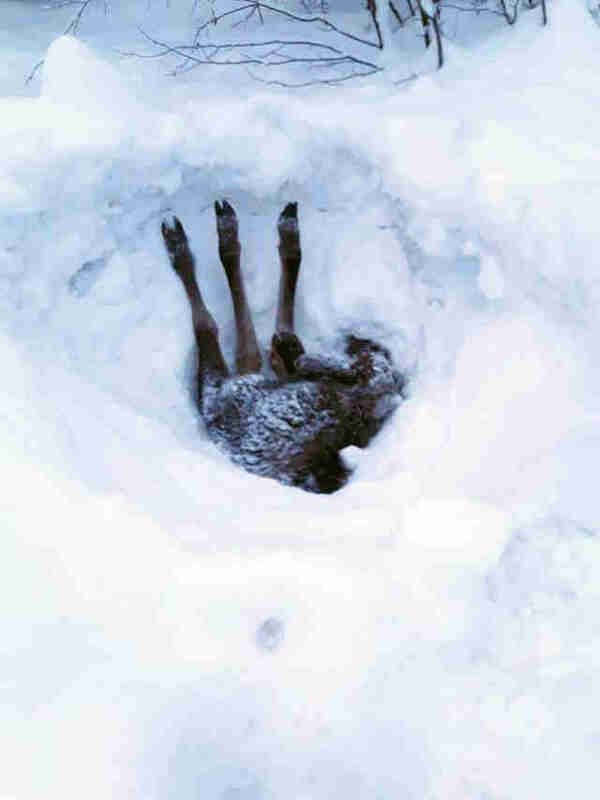 What Rowley had spotted were the legs of an animal trapped in the thick snow. "It was this little moose calf upside down," Rowley said. "I went down to see if it was still alive — and he looked up at me!" Realizing there was still time to save the moose, Rowley put everything else on hold to help. "I couldn’t leave him," he said. "I knew I had to do whatever I could to get him out and back on his feet." 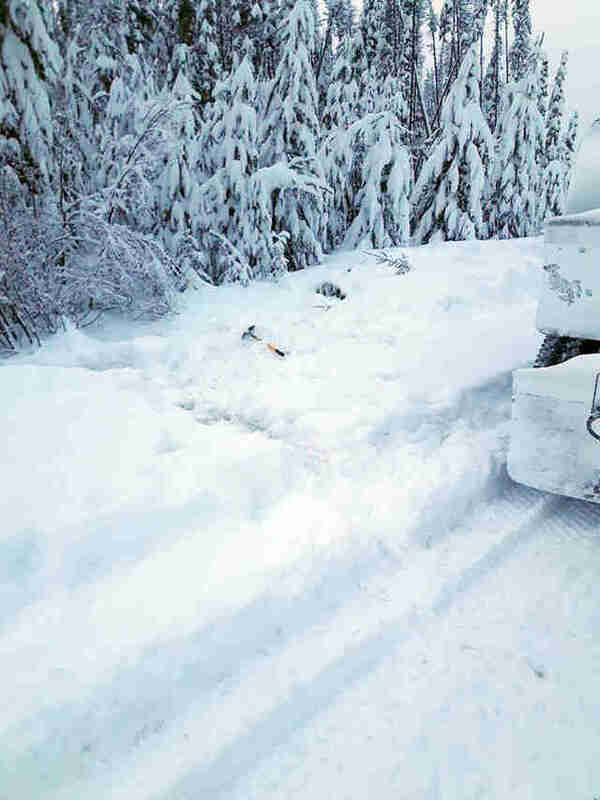 Rowley grabbed a small shovel from his truck and began digging. "I dug a hole right beside him so he could roll over and get back up on his feet. He was straight upside down with his feet up in the air, and the more he moved the deeper he went," Rowley said. "The snow was 6 feet deep, so it took a while! But I think the moose knew what I was doing." Thirty minutes later, Rowley's efforts paid off. He radioed a colleague for help, and the pair were able to finally right the moose using a rope. "He stood up and looked at me," Rowley said. "Then he climbed the trail I’d made up to the road and away he went." Afterward, Rowley hopped back into his truck and continued on his way. Passing the area later on, the moose was nowhere in sight. "I didn’t see the calf's mother, but I think he must have hooked back up with her," Rowley said. "I just did what I had to do, that’s all."